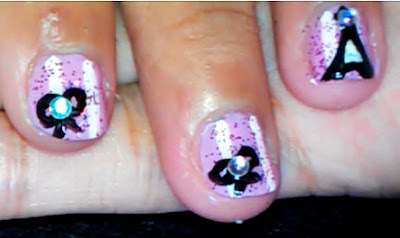 Hi everyone, so today I'm going to show you how I did my cousins nails. She wanted it cute and girly. I was inspired to make her nails look a little bit close to what I'd like to see in my room. I'm using my mobile phone's camera btw.